Whether you are traveling to Great Britain or just want to understand British popular culture, this unique dictionary will answer your questions. 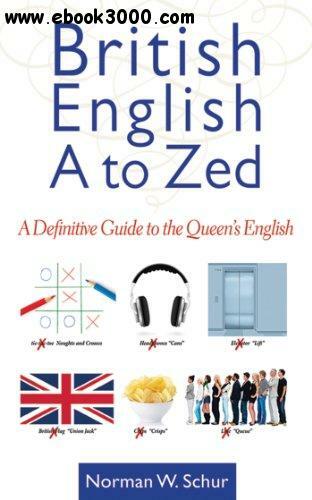 British English from A to Zed contains more than 5,500 British terms and their American equivalents, each with a short explanation of the term's history and an example of its use. The appendixes provide valuable supplemental material with differences between British and American pronunciation, grammar, and spelling as well as terms grouped in specific areas such as currency, weight, and numbers. George Bernard Shaw famously said that the British and Americans were "two peoples separated by a common language." This book bridges that gap.